This is the original classic dressing aid. 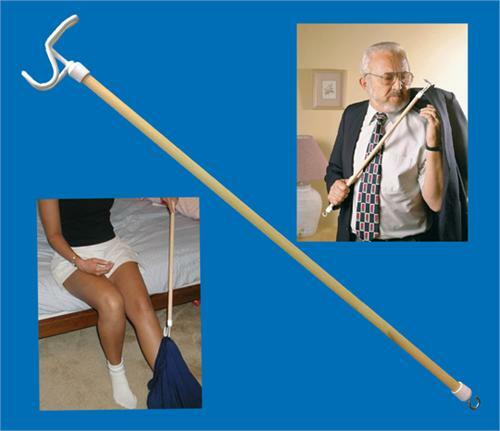 This dressing stick helps eliminate much of the need to bend over when dressing. 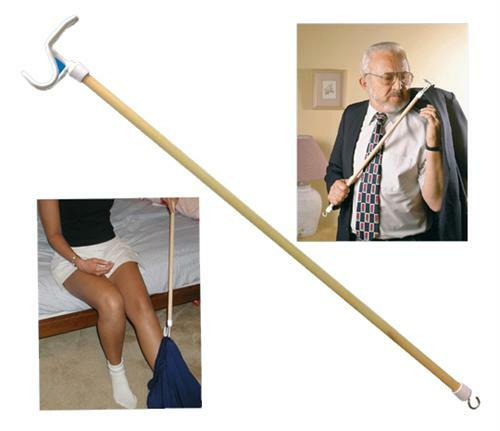 The push-pull vinyl coated hook is smooth and helps prevent scratches and snagging on clothes. There is a "C" hook on the other end for hanging or to assist as zipper pull. Wood dowel handle is ½" diameter.